Equally suited for on and off road adventures, our Dakar Dual Sport jacket delivers the ultimate in multi season riding comfort. 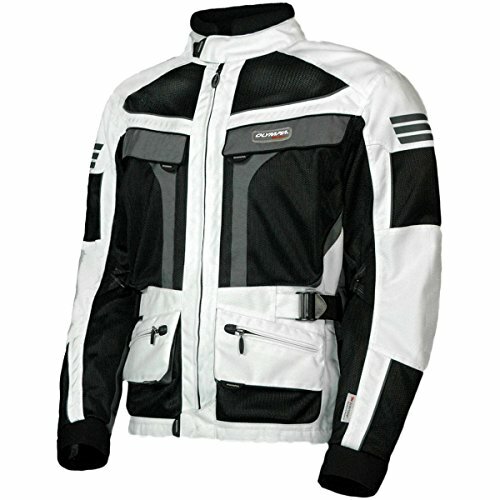 Equipped with a sporty two stage, wind and waterproof, Thermolite insulated liner jacket, this style delivers true riding comfort. Its unique Three Layer Systems Design allows you to customize its function by simply adding or removing appropriate layers as needed. If you have any questions about this product by Olympia Moto Sports, contact us by completing and submitting the form below. If you are looking for a specif part number, please include it with your message.